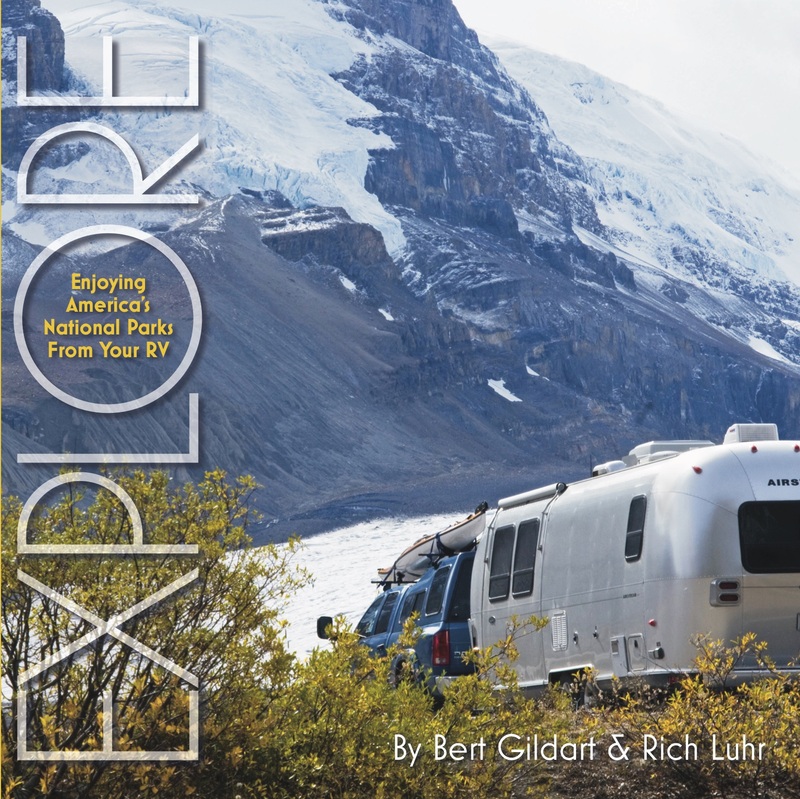 In 15 years of extensive Airstream travel, it is amazing that we never managed to get to Salt Lake City, Utah. It wasn’t for lack of interest. Our Airstream friend Jim had been telling us for years that we needed to come to SLC, but it was never quite on our route. Salt Lake City is an easy stop if you are heading east or west on I-80, but we always took Bugs Bunny’s famous “left turn at Albuquerque” (or Denver or Flagstaff) and missed it. The few times we were headed further west we tended to go north and end up in Washington state. This time I made it a goal. SLC still wasn’t “on the way” but after all that rushing through the midwest we had earned some slow & meandering travel, so after Flaming Gorge we headed northwest instead of the obvious southbound route home. Jim had very kindly offered his driveway in central SLC (a 10 minute walk from downtown), which was very appealing. I always treat driveway camping offers with a little healthy skepticism because it’s fairly common for people to not appreciate how difficult it can be to maneuver a 30-foot trailer into a driveway. The homeowner’s car, truck, and boat may get in there easily, but things change when you are in a rig that measures 54 feet long and 8.5 feet wide. I did my usual vetting of the site, using Google satellite images, and it looked marginal but worth a shot. Unfortunately a satellite image doesn’t tell the whole story: when we arrived there was heavy rush hour traffic even in the residential side streets, and lots of cars parked along the street that reduced our turning area by a crucial 6-7 feet. 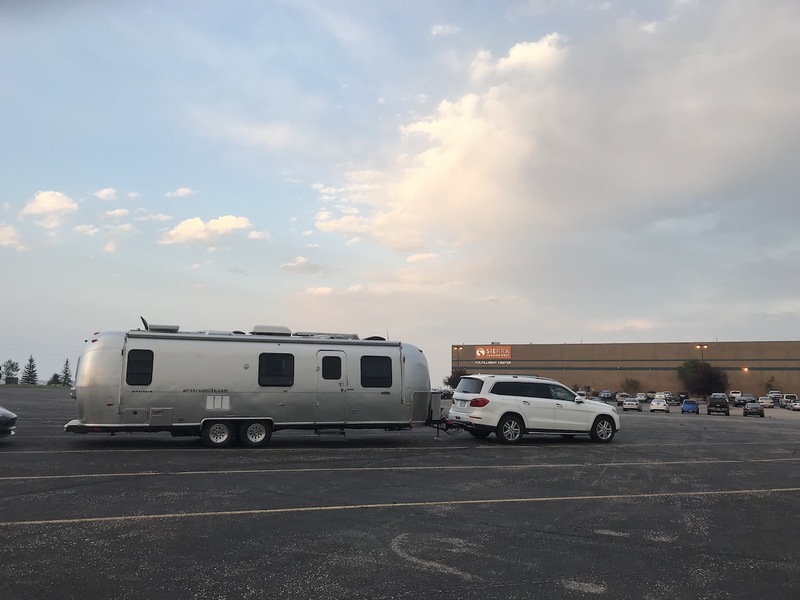 We took a few stabs at it with Eleanor standing outside holding a walkie-talkie to guide me and stop traffic (massively annoying local commuters in the process) but after a few attempts to back the Airstream in, it became obvious it just wasn’t going to work. I called it quits after digging some ruts in Jim’s front landscaping and “trimming” a bunch of tall flowers near his mailbox. I try to always have a backup plan for situations like this, and so we already knew there was a decent KOA near downtown. All we had to do was navigate downtown rush-hour traffic with a big trailer … which can be incredibly stressful but as always we survived and I’m sure the locals that I traumatized while changing lanes in their faces with a giant slab of aluminum will eventually recover. Salt Lake City surprised us. It’s actually a pretty interesting town with a good food scene and natural beauty in the surrounding hills. We hoofed it around the downtown for half a day and visited the Natural History Museum of Utah, which is world-class. If you like dinosaurs it’s worth a visit just to see the well-presented collection, but there’s also a lot more worth checking out including a thought-provoking native culture exhibit. 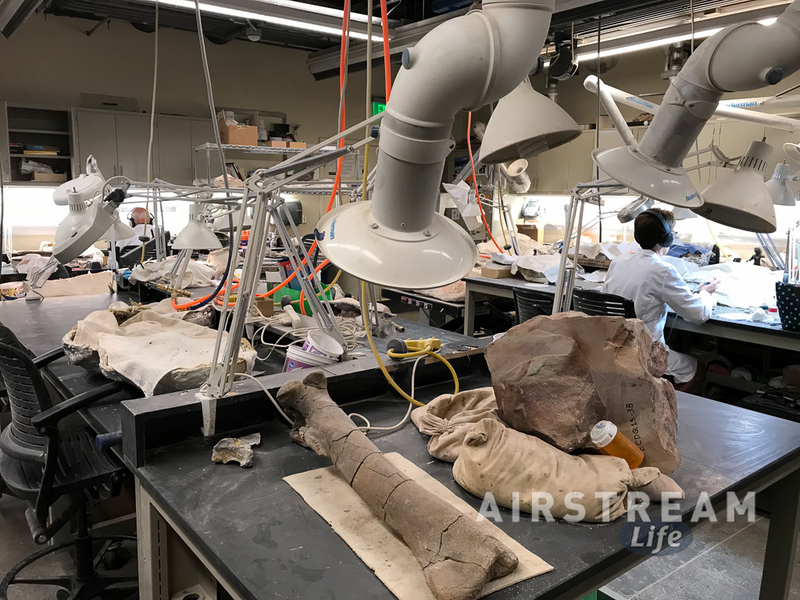 Jim got a behind-the-scenes look at the room where volunteers prepare fossils. It’s painstaking work, done by dedicated people who spend many hours wearing noise-cancelling headphones (the fans and tools can be loud) while they focus on details that most people would never notice. There’s a certain thrill in being close to the fossils as they gradually emerge from the stone that has held them for tens of millions of years. That afternoon we hit a Italian grocery that Jim recommended, and Eleanor stocked up on several interesting cheeses, chocolates, olives, and tiny “champagne” grapes. Together they hatched a plan to have some sort of crazy cheese-and-chocolate pairing session before we had the dinner that Jim made. I’ve never had cheese and chocolate together but, yes, it works. Especially when you are sitting out on the backyard patio with friends and the sky turning to stars as you eat. Two night in Salt Lake City weren’t enough, but we made a note to come back for another visit with Jim. SLC won us over, so I’m sure we’ll make another detour. At this point we still had a few days left and nowhere in particular to go. All we knew at this point was that we should be generally heading south. I took a look at the map and decided we’d visit Glen Canyon National Recreation Area next, near Page AZ. Driving 400 miles a day is not my idea of ideal Airstream travel. It’s more like being a long-haul truck driver, with “gas and go” stops along the endless concrete, and few opportunities to stop and explore. We only do it when we have to trade off one part of the country for another, and that’s why we chose to rush through Illinois, Iowa, Nebraska, and Wyoming. The reward, we decided, would be Utah. Utah’s a great state. It’s under-appreciated in my opinion. Not only does Utah have an amazing constellation of national parks (Bryce, Zion, Canyonlands, Arches, Capitol Reef, Natural Bridges, and some smaller units of the National Park Service), and dinosaurs being dug up regularly, but it is also just beautiful nearly everywhere. I love the rocky red and yellow outcrops, the hoodoos and pine forests, and the ever-changing roads. So we traded a few states we’ve visited many times for a week to explore Utah a little more. We arrived with a souvenir from Nebraska. Near Grand Island the Tesla caught a rock in the windshield which put a nice long crack right in the driver’s field of view. Being a relatively new car made by a nascent manufacturer, spare parts are hard to get, and so after a few phone calls from the roadside we realized we had no choice but to press on and ignore the crack. A replacement windshield wasn’t going to be available for two weeks. Although the crack continued to grow from 7″ to about 24″ over the next day, the laminated glass would not shatter or fail and so it was just a matter of learning to ignore it. The windshield crack was a low point in the trip. 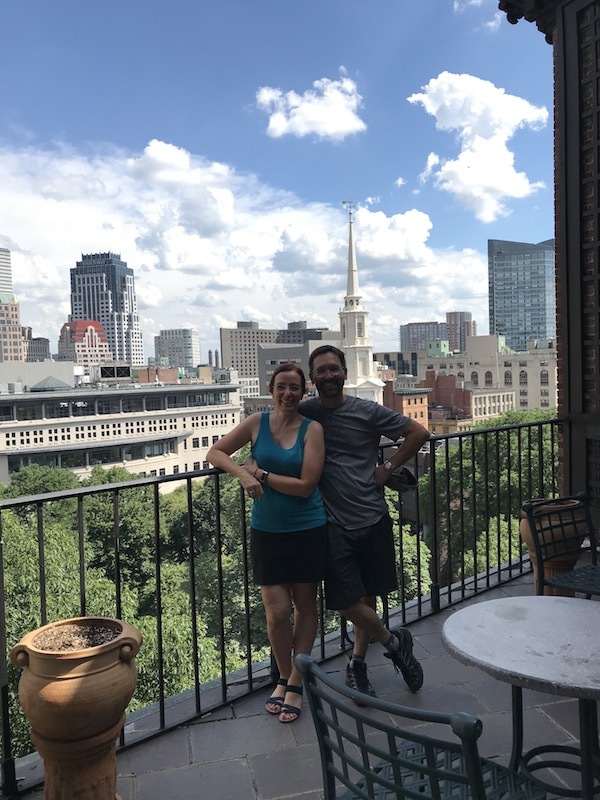 We had been on the road for days of uninspiring highway driving and we were still at least a day and a half away from our goal, and then our new car had gotten damaged in the middle of Nebraska. It felt like bad karma, but there was nothing to do except keep plowing west against the headwinds and crossing our fingers that nothing else would go wrong. I started feeling better when we hit Cheyenne WY. For some reason being in the dry and wide-open west, especially at high altitude, always invigorates me. We spent the night boondocked in a parking lot. 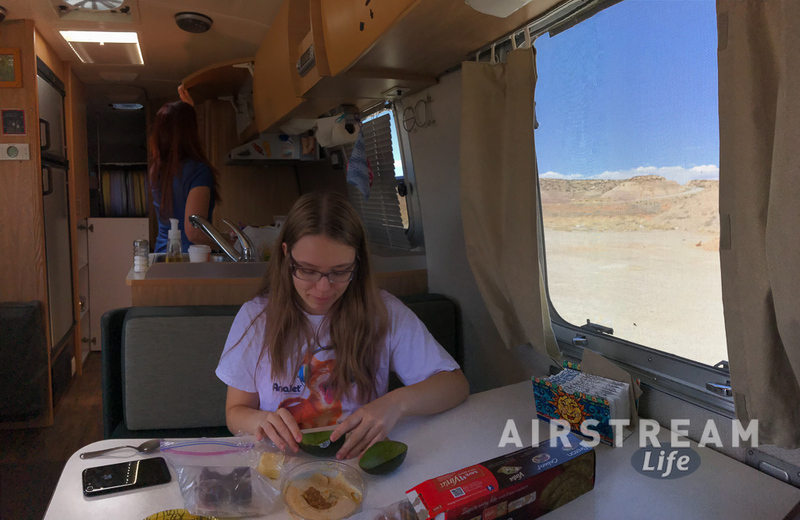 Although normally we never leave the Airstream in an “overnight parking” situation, in this case we felt safe to leave the Airstream and Mercedes hitched up and take the Tesla to get a steak dinner at a suitably western restaurant. Eating out at a place where guys would be wearing their best cowboy hats and jeans felt like the right thing to do in Wyoming. Even though I was exhausted that night and not much of a conversationalist, it felt recuperative. From Cheyenne it was still nearly a full day of driving to Flaming Gorge, but everything seemed like it was getting better. Wyoming along I-80 is stark, open, and occasionally harsh, but also beautiful as the light filters through clouds to make the yellow hills glow. Despite constant winds and tough uphill climbs, I enjoyed the drive much more than I had any of the previous three days. 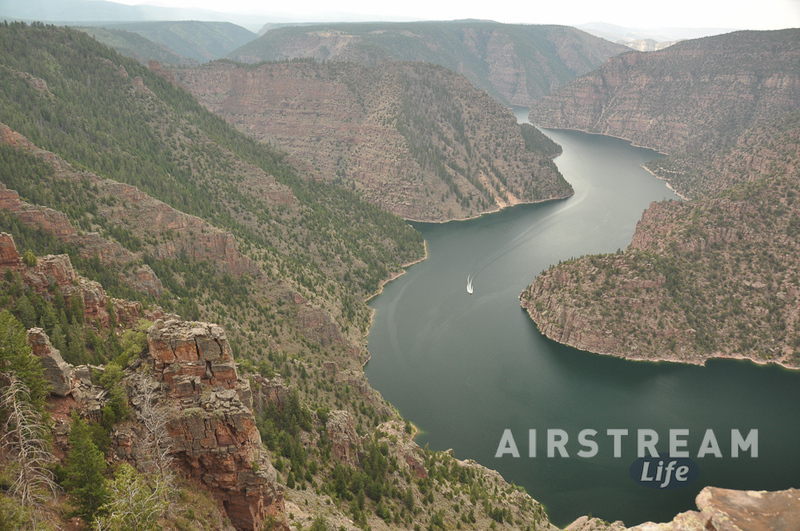 Flaming Gorge National Recreation Area in Utah is an amazingly beautiful area surrounding a reservoir. The reservoir is the result of a 1950s dam project along the Green River (part of the series of dams that include Glen Canyon Dam at Lake Powell, and Hoover Dam at Lake Mead). It’s relatively quiet, dominated mostly by fishermen and other boaters on the reservoir, and it’s not hard to find your own little piece of paradise along the lake or on a trail. 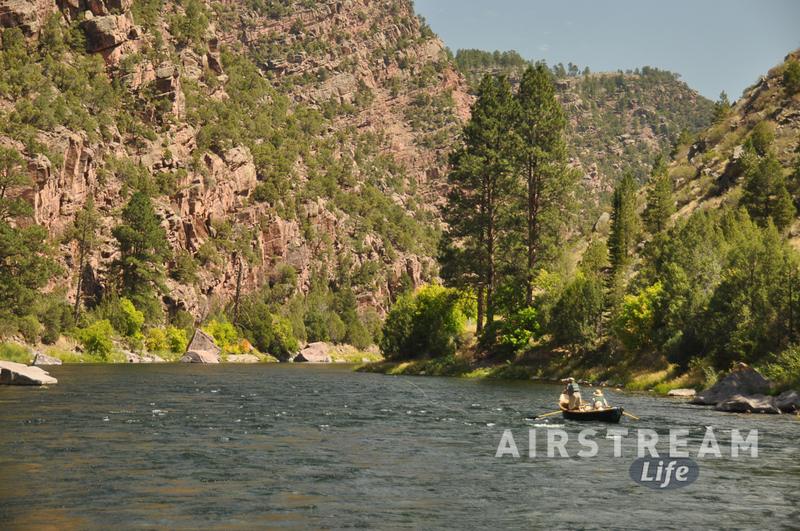 Plenty of camping opportunities too—although there’s only one campground with hookups. You’ll find that in the little town of Dutch John, which was the town created for the original dam workers. Most non-boaters seem to take the dam tour, hit the visitor center at Red Canyon, and move on. But there’s a lot more to do here if you take the time, such as horseback rides and excellent hikes along the riverbanks. If you don’t have a boat there are lots of fishing guides ready to take you out for a day. We spent a day exploring the river downstream of the dam, where the current runs strong and clear and cold, and watched birds from a flat rock. Occasionally fishermen would float by, but mostly we were alone. 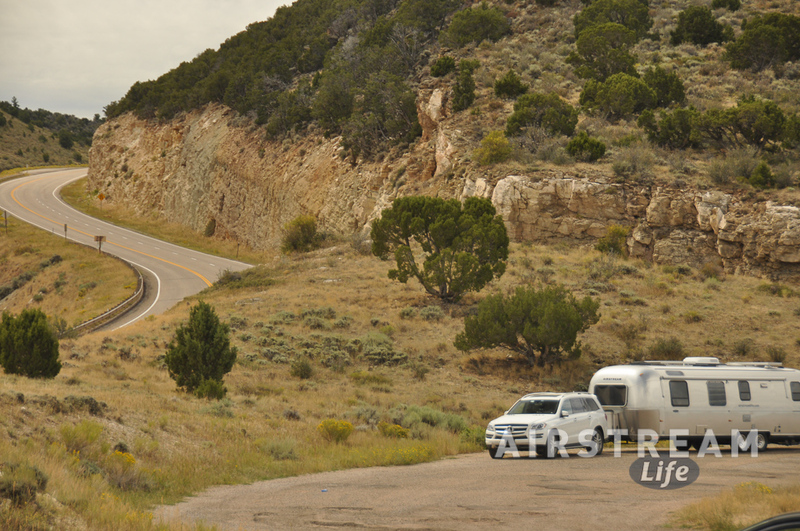 Getting in and out of Flaming Gorge is fun with an RV, since there are unavoidable steep grades no matter how you arrive. 8-10% is not really a big deal with proper technique—it’s more of a psychological challenge, especially when the road is winding and there are steep drop-offs. But if you go, be sure you know the right way to control your rig’s speed when descending a steep hill so that you don’t smoke your brakes. This even applies to cars: we smelled a few sets of hot brakes on the way in.